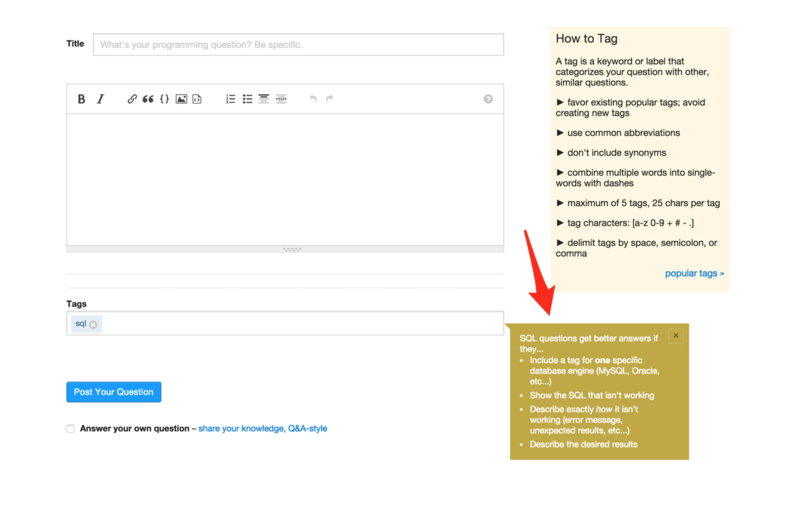 In the last few months, Stack exchange has introduced tag warnings, that is, a text that is displayed when a user creates a new question that contains a specific warning, such as this example. Apparently, the feature has been introduced without a formal announcement by the SE team (or at least I couldn't find any), but word has spread on several meta sites. We could use them on MO as well, for instance to disambiguate between words with multiple meanings such as lattice. (This proposal originates from a comment on that thread). So: can we have tag warnings too? The tag (abstract-algebra) is deprecated, please use other tags instead. The tag (discrete-mathematics) is deprecated, please use other tags instead. The tag (geometry) is deprecated, please use other tags instead. Not the answer you're looking for? Browse other questions tagged feature-request tags warnings .